About "Birth order, So What?" 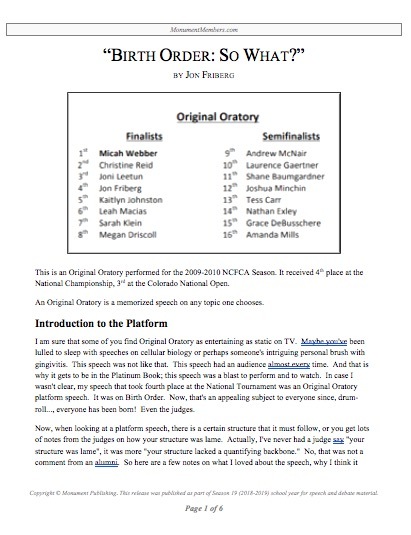 This is an Original Oratory performed for the 2009-2010 NCFCA Season. It received 4th place at the National Championship, 3rd at the Colorado National Open. An Original Oratory is a memorized speech on any topic one chooses.